The bug we've encountered in our first build in China is due to the voltage upconverter chip we chose. 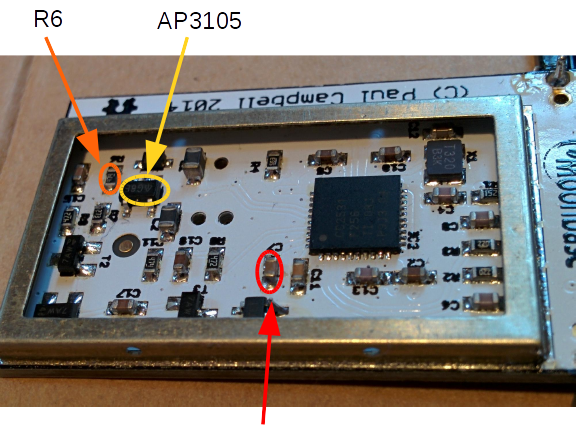 It turns out that the chip we'd used before (AP3105) behaves differently depending on which batch you get from the manufacturer, the ones we sampled in China didn't work so we chose a different chip that sometimes overheats. This bug is only present in some of the boards that were part of the second Kickstarter shipment, all other boards, including those currently in our store do not require this change. We have a fix that addresses the original issues with the AP3105 and undos the changes we made in China.